Wellden Turnbull offers a wide portfolio of professional accountancy and business services in Surrey. We are an independent firm of chartered accountants, chartered tax advisors and statutory auditors with a wealth of experience offering complete accountancy and taxation solutions to a wide range of business clients and individuals. In addition to accounting and auditing, we also provide valuable business support services to ensure all of the financial needs of your business are met. We have nearly 80 years’ professional accountancy experience at our disposal, as well as a wide scope of technical skills to meet the needs of modern businesses. We are experts in strategic business growth and we have helped numerous businesses to drive performance and increase profitability. Your success relies on a team of accountants and business advisers you can trust. At Wellden Turnbull we pride ourselves on our insightful and intelligent accounting and business services. Our personalised accountancy and exceptional business support will keep your financial obligations in order and give you the tools and the confidence you need to grow your business. 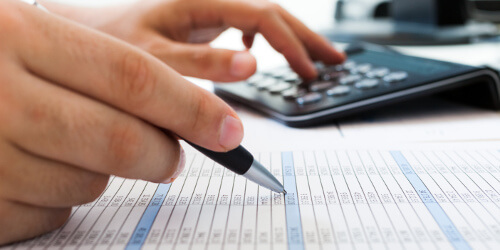 Essential accounting and bookkeeping services are a core competency of Wellden Turnbull’s experienced team. We can help with the preparation of annual accounts, maintaining VAT records and management accounts, software training and IT support, as well as all general bookkeeping services. Why not let us take the strain out of your accounting while you get on with the important job of running your business? Our professional and seamless auditing service can help you to identify opportunities for business improvement. No audit is beyond our remit. Our partners have been trained to an exceptional level and have many years’ experience in auditing in a wide range of industries and businesses. Our team of auditors are polite, courteous and helpful and we always strive to maintain positive relationships. As chartered tax advisors and statutory auditors, we are ideally placed to provide comprehensive corporate tax planning and advice to support your business strategy and growth. We are experts in tax compliance issues, we can liaise with HMRC and deal with any queries and investigations with the utmost professionalism and efficiency. A business plan is an essential tool that no business should be without. Our expert impartial business planning advice will help you maximise your potential for growth and contribute to making your business a success story. We can help you prepare for difficult trading conditions, or help ease you through a change in your business focus. Our expert team will help you collate financial information and create a credible plan to put forward to investors. Whatever business planning advice you need, our experts are on hand to help you. Starting a business is an exciting time, but compliance with business regulations can be a minefield. Our business start-up experts can guide you with your initial plans to ensure all of the legal and financial requirements are adhered to. A business built on firm foundations has every chance of success. Our experienced team of accountants and business advisers has the extensive knowledge of business finance and corporate funding required to help your business thrive. We can advise on everything business related from funding for business start-ups, hire purchases and leasing agreements, inbound investment and funding opportunities, to financial commitment adjustments. Payroll is an essential but time-consuming requirement for most businesses. Why not let Wellden Turnbull handle your payroll services for you? Our team is highly experienced in simple and complex payrolls. We can support your business with regular payroll runs and reporting, online payslips and BACS payments, computerised payroll bureau, Real Time Information (RTI) and auto-enrolment pension requirements. Our mergers and acquisition experts can offer the advice you need throughout the process to ensure every decision is made in the best interest of your business. We have extensive experience in business valuations and we work closely with our clients to help find buyers and to negotiate the sale. At the same time, we will work at minimising your tax exposure. At Wellden Turnbull we have extensive international financial services expertise. We can offer help and advice to businesses wishing to establish a UK base, or overseas investors looking to maintain successful cross-border operations. We offer specialist advice on tax planning, banking and acquisitions, both for UK residents owning overseas property and non-UK residents owning UK property. We can also assess and advise to reduce double taxation, and ensure adherence to Non-Resident Landlord’s Scheme regulations. VAT calculations are a common challenge for many businesses, and misunderstanding the regulations can result in the underpayment or overpayment of VAT. Let us help you ensure your accounting system is set up correctly to bring VAT information together for accurate returns or we can complete your VAT return for you. For business solutions and accountancy services in Surrey you can trust, call one of our expert team on 01932 868444 today. Book your free, no obligation accountancy consultation now.